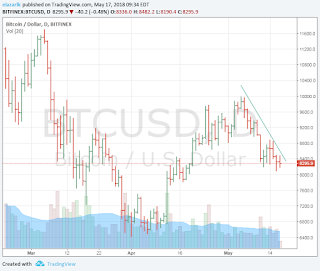 Bitcoin and other crypto currencies have tended to move higher during and following the biggest Bitcoin event of the year, Consensus. In trading terms that's a sign of "bad action" and a bearish trading signal. 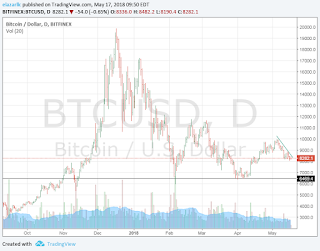 We recently pointed out that Bitcoin as the proxy for crypto currencies is currently in a downtrend. We'd guess that many traders were hoping for a Consensus bounce but didn't get it. Consensus has passed with no up move. Not good. As a trader, unless you're bearish you don't like a downtrend. What's worse is when you expect a good reaction and don't get it that's a negative trading signal. Simply, when you hope for good and get bad it's a sign that selling is overpowering the good news. It's a bearish sign for bitcoin after a key catalyst event passes. Again, not getting a positive reaction from a bullish event should make traders concerned. 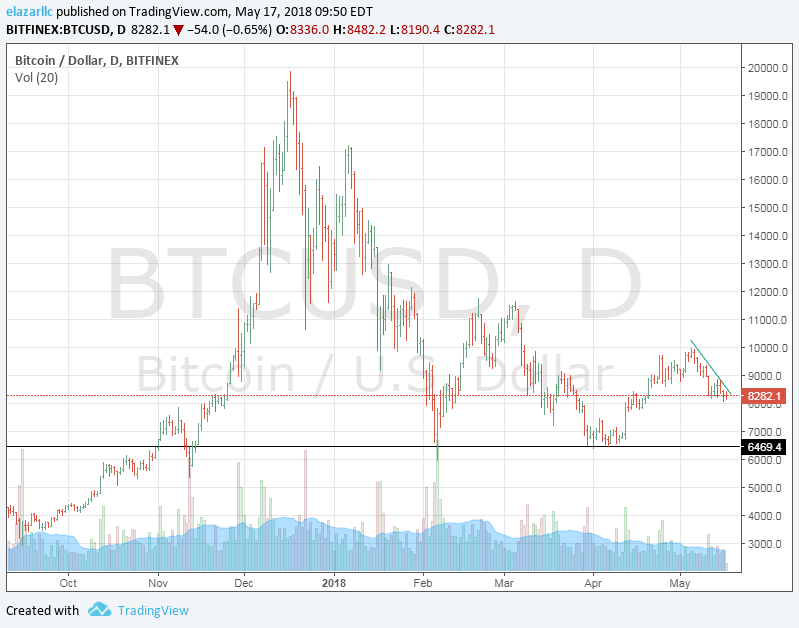 There's some support at 8000 but there's not bigger support until 6500. 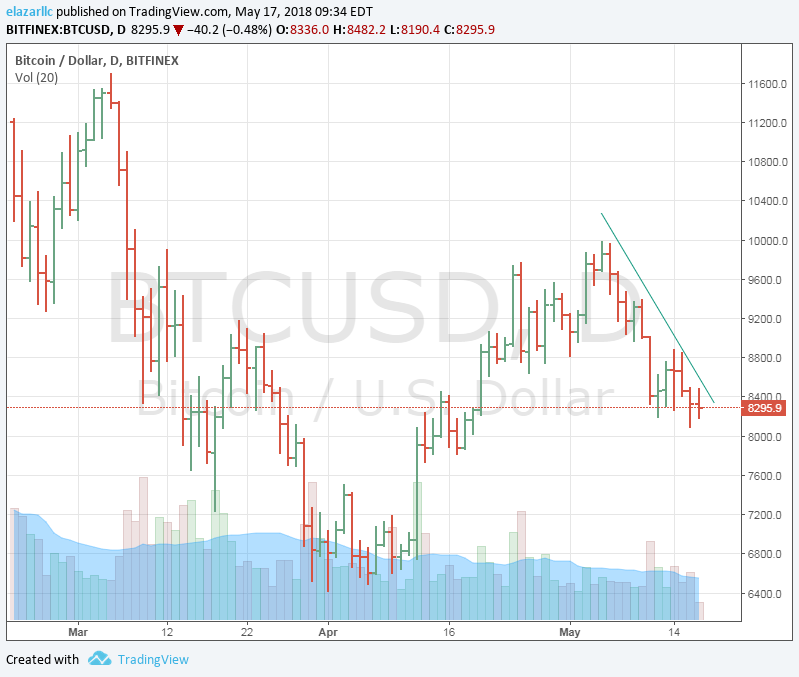 That move would hurt and spook traders that we can break 6500 to continue this medium term downtrend that started in December. The trend matters and for now, it's still pointing lower.